It can be rather uncomfortable to notice patches of pigmentation and liver spots on your skin. They are harmless & are mainly brought forth by age and too much sun exposure. These spots which are either black or brown in color are commonly referred to as liver or age spots. The liver spots are mainly an amalgamation of pigments that make them take in a flat shape. They are most common on the arms, hands and the face. Most people who unfortunately develop liver spots are within the age bracket of 50 and above. The spots take on different sizes with some being tiny while others are very big. The sun’s UV rays enhance the production of melanin within the skin and with age; the pigment is not distributed regularly which causes patches on the skin. Those parts of the body that is highly exposed to the sun have a higher chance of suffering from liver spots later on in life. All is not lost when you have liver spots since there are various forms of treatment available. The modern remedies are inclusive of freezing, laser, sanding of the skin and the utilization of lightening or bleaching creams. These forms of treatment are undeniably effective but the main challenge would be in the extortionate costs. The most cost effective natural treatment for liver spots would be to avoid too much sun. However, if the liver spots appear, how do you treat them without breaking the bank? The home liver spots treatment is not only natural but rather they are very cost friendly. One strategy would be the application of the juice that comes from the citrus fruit with a good example being the lemon. The juice should be directly applied to the black and brown spots consistently for la long period of time in order to achieve notable results. You can also make use of vinegar made from apple cider mixed with a few spoons of orange or lemon juice. Butter milk comprises of lactic acid that provides a complexion that is creamy which can greatly encourage liver spots to fade away. There are other cost effective herbal remedies that one can use to get rid of liver spots on the surface of the skin. If you are looking for fast results, try blending a pinch of gotu kola that is a Chinese herb with cayenne pepper and ginseng. The mix can be taken in the form of tea. The advantage of this tea is two fold in the sense that it improves the complexion & evens out skin tone while at the same time flushes away toxins from the body. Rosemary and dandelion are also some of the effective forms of natural liver spots treatment. 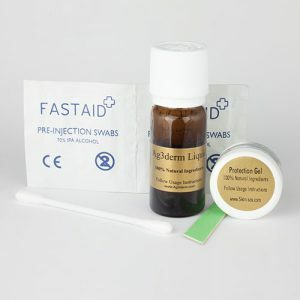 It is essential to point out that the natural treatments would hardly be available in the required concentration which makes it advisable to buy a ready made natural liver spot removal kit. The main advantage of natural forms of treatment is that they do not have adverse side effects.